I recently discovered your INCREDIBLE cookbook and now your Family Dinner site. 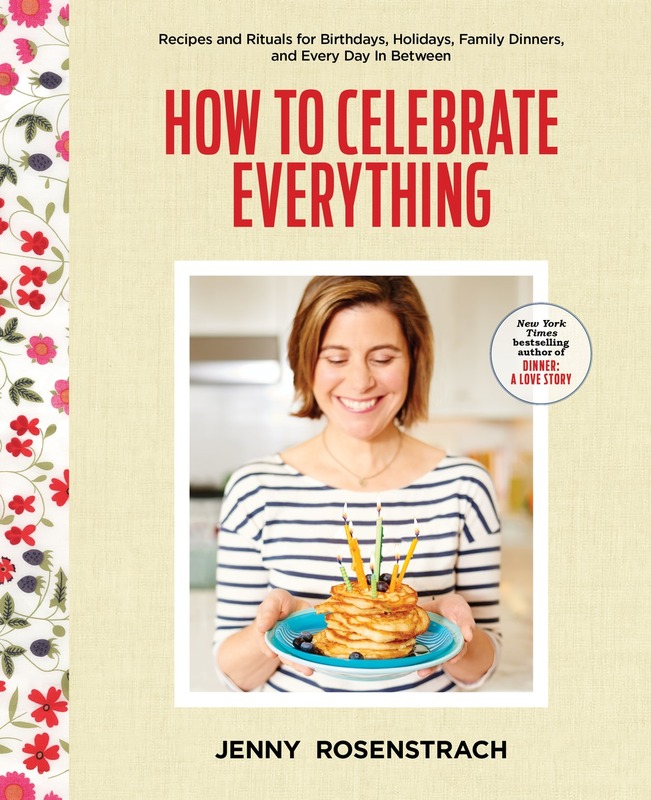 I’m a challenged cook (and working mother of 3) and the book — I swear – has changed my life in the kitchen. I whipped up turkey bolognese in the morning yesterday (yes, in the am!) and have used your recipes every night for the last 2 weeks. Thank you!! I assume she didn’t click on the DALS link (or at least that’s what I’m telling myself) because I think the exact opposite of what I’m trying to do is put people in a defensive position about their dinner situation. I am not here to make parents feel bad about themselves. I am here to help people deal with all the variables (including early bedtimes, time-crunched schedules, lack of inspiration, lack of appreciation) that get in the way of making dinner when kids are in the equation. 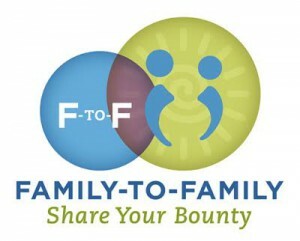 * I firmly believe that if you have the desire to make family dinner happen, you can make it happen. It doesn’t have to be every night, it doesn’t have to be from scratch, it doesn’t have to involve a single emotional epiphany or in-depth deconstruction of the midterm elections. Again, all I’m hoping to do is keep family dinner on their radar so that even if it’s not something you can manage now (with the job that gets you home too late, the kids who go to bed too early, the fact that no one will eat a $&*# piece of broccoli) you can just keep it in mind for later…Or for Sunday? (Marcella Hazan’s Milk-braised pork loin anyone? Or the crazy delicious Pot Roast with Sweet Potatoes recipe that’s on page 263 of the cookbook?) Anyway, I guess what I’m trying to say is…The last thing I want to do here is Make War. Just ask Amanda O! *Note: I am also here because I just learned that new mom Tiffani Theissen (she’s dropped the “Amber” apparently) has declared DALS her “new favorite blog” and so what am I going to do…stop now??? While I understand there is always room in the world for both positive and negative feedback, I must come to the defense of you and your cookbook on Valerie’s post. 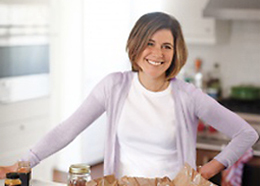 Your blog and cookbook are about helping to get a “food strategy” going in your house. It is written in a supportive and encouraging manner. I think Valerie needs to spend a little more time on DALS to really understand the concept. For me, DALS is a little pat on the back, and sometimes a little push forward, to remind me what is really important in life! Keep up the great work!!! how do we get one of those fantastic bumper stickers? Been meaning to tell you this and kept forgetting…and now this seems like the most perfect place and time. Love your site, love the book! The other night I was trying to get us to the gym so I can be healthier and I knew I needed to feed the kiddos before we went. In the summer, after the gym was fine for dinner, but not so much now. So I was trying to think of something healthy and I remembered the part of the book where you just need to pick one thing from 3 food groups and ta-da…balanced meal. So it was cheese sticks, edamame and whole wheat toast. I thought it looked a little sad until my 5 year old gleefully anounced it was the best dinner ever! I’m not a bad cook, she likes other things I make, but she thought it was so fun. Thank you for the suggestion and the inspiration! Man. What a negative nelly. I am assuming she is already on the defense because she gets home at 8 pm and has to get the kids in bed at 8:30. That aside, the ones that are negative are the ones that sting the most. I remember an interview with Jim Carrey a long time ago who said that he could have a room screaming with laughter during a stand up routine, but he would focus (obsess) on the one guy who wasn’t laughing and then fret about him the entire show, even days afterwards wondering “Why didn’t HE laugh? What did I do wrong?” I think we can all relate to that on some level. You though are doing something right. Giving tools in a gentle friendly way that is not condescending or over the top. It’s what I love about DALS. So keep on doing what you’re doing. It’s genius. Major props on the Tiffani Thiessen shout out. Now if she just can Zach and the gang from Saved by the Bell to do a reunion, we’d all be a little bit happier, dontcha think? I’ve been a faithful follower (and I have the bumper sticker on my car, much to my husband’s dismay) but I just love this blog. I can’t wait to get my hands on the book. Most nights I walk into my kitchen and stare at the clock completely overwhelmed at the task at hand. I agree, there are ways to make it happen. I also think you have been incredibly understanding and helpful. (loved the piece in Real Simple Family). I’ve learned that I don’t have to be ashamed to have the frozen pizza in my freezer, just in case. It’s okay to get takeout once a week if I need to. I just focus on what I CAN do. Last night? I sauteed some wilting veggies and slapped them between two tortillas with some cheese. But hey…I made dinner. And we ate it together, so….win! Cynics tend to have very loud voices. The rest of us just keeping telling our friends about your blog. I went to my book group earlier this week and we were all abuzz about your command center, but not a single one of us commented. And Tiffani Thiesen? Yeah, there’s no going back now! I’m not a mom and am not married, but have found your blog incredibly helpful as a mid-20 something gal in a three year relationship. The idea of having dinner, every night (or at least most nights), with the person(s) you love is inspiring. I have been working to implement having a home cooked dinner with my boyfriend at least three nights a week. It really has strengthened our relationship–to cook together and eat together, face to face. We live in NY and both have tight schedules, but making time to cook and eat together has been a wonderful goal for the past few months. btw… we both adore your sautéed chicken over arugula dish. we’ve also done it with pan seared scallops and shrimp. so yummy and quick! Amanda is right. The hater is already upset about getting home at 8. which means she gets 30 minutes with her kids. I’d be pretty furious. keep doing what you do. we all love it. and support your (our) mission. What I love the most about this blog is not so much the great dinner ideas (and they are great and used often in my home) rather the reminder that the most important thing is that we try to eat the dinner (whatever that may be that night) together at the table most nights. This is special time that is ofter easy to overlook. Your blog and book have helped me to remember that we are not just feeding kids we are building memories. PS, the minty peas are darn good too. My measure of success in any area of life is the 80/20 ratio (i.e. my home is passably clean 80 percent of the time, the kids do not embarrass me in public 80 percent of the time, and so on). The comments here are well above the anxiety-suppressing, inner-peace-releasing ratio; you are doing a super job. Your blog has been really motivational, even inspirational, that it’s not just about the food (80 percent DALS roast chicken, 20 percent frozen pizza/breakfast cereal/PBJ) , it’s about sitting around the table together. Since discovering it in Real Simple Family, I look forward to it each day. Keep up the good work, and thank you for the strategies to get us around the table. Fairly new to this site, and finding it very useful, as well as entertaining. Can’t please/help everyone, but it’s good to help as many as one can; and you’re doing just that! Will have to check this cookbook out from my library and give it a looksie! I’m also new to the site (I read about it in the Mother Lode blog at the NYTimes, and then read the related story) and I’m really enjoying it. I recently had my second child (his older sister is 2.5) and I have always believed in getting a good healthy meal on the table for dinner, even before the kids came along, but now it seems more important than ever, even if my daughter won’t touch vegetables…yet. So your site came along at a time when I’m busier than ever (back to work full-time, two kids, husband, dog…) and I could have thrown my hands up and given up on dinner, but instead your site is reaffirmed my beliefs. 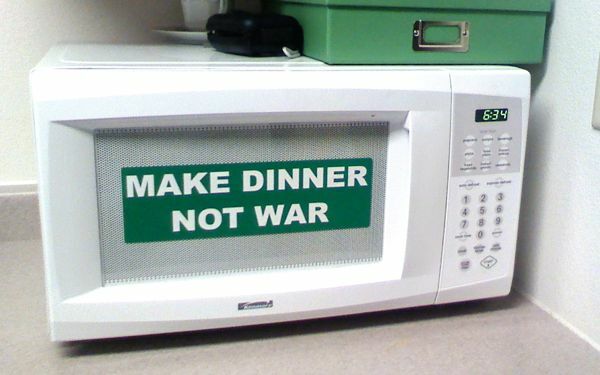 I like the sticker on the microwave – great idea! But if you send me one, I’ll slap it on the bumper of my PT Cruiser – no resale value there ;> Also, it was my mom’s car and she always managed to put dinner on the table after a day at work. She didn’t live to see her grandkids born, but I know she’d approve of both the sticker and its message. Does anyone else appreciate the irony here — that you guys are now all giving me the pep talks? I love it! Thank you all. And I think I should also thank Valerie, who has inspired a bunch of even easier than super easy dinners for working moms (super duper easy dinners?) so look for them this week and next. Enjoy the weekend! Keep up the wonderful blog – it reminds me of what is important, gives me new ideas, and most of all makes me smile and remember that I’m not the only mom looking at the fridge and needing some inspiration from time to time. I love your blog and look forward to your book. This discussion has reminded me of an article I read by Mark Bittman. This blog probably sent me there! Getting home at 8, and kids in bed at 8:30, that’s tough, no doubt about it. Good luck to all of us in doing the best we can. Having dinner as a family is a priority period. We managed to do it most nights even when our kids had sports and we still do have dinner with our local commuter college student (fussy daughter having moved on to MSU has freed up our menu options amazingly!). Dinner isn’t food – it’s relationships and talking and hilarity at our house. How about yours? My coming here and reading is all about inspiration–getting, as you say, a pep talk; making dinner and sharing it with my family is a top priority, and when it seems hard to honor it, I find just the kind of help I need in your blog. It really is all about priorities. The negative comment is from a listener who isn’t interested, as I see it! I know plenty of moms with that scenario who pull from their freezer, who batch cook meals, who plan ahead for that type of constraint. Always look forward to reading your posts because I know I can find some perspective on my day, great recipes and humor. Keep up the good work! Kids are eating dinner downstairs & I’m upstairs about to exercise & I love your blog (recently discovered) & I know on mine a stinging comment really stings. One opinion, though. It’s always, in my experience, about someone feeling h/she doesn’t have , well something. Something you’re saying is just an obvious thing to have. Even if you’re not saying it’s an obvious thing to have. I want a bumper sticker for my son’s xmas stocking. And two of my kids & I are huge White Collar fans so Tiffani Thiessen’s seal of approval, well, keep going! They have you in under your name Jennifer…maybe you could get them to add- DALS behind your name! Don’t beat yourself up about that comment. She could spend the weekend making meals and freezing them, then thaw each day and reheat in 3 minutes for the kids. Or she could change her priorities to make time for the meal. Just because one person/mom/reader/listener disagrees with your priorities/choices/meals, doesn’t mean you should stop believing yourself or your values. Let her make her decisions, and you make yours. She can read and follow along or not; no harm done. You go girl. We hear everywhere that family meal time is one of the biggest factors in everything from childhood obesity to academic success. What we don’t hear very often is exactly HOW to make that a reality. I’m so grateful for a site that not only values the tradition of a sit-down family dinner but offers some hand-holding, a good dose of self-deprecation, and a whole arsenal of recipes! Once you start getting haters, you know you’re really doing something. Congrats! I just ordered the cookbook from amazon! I am so excited. I figure, I look to this site for recipes all the time, why not have it on myself. Also, its getting kind of hazardous for my laptop to be near the stove.